The Mountain Ridge Story--For John and Amy, it has been all about the dogs for over 30 great years and they are hoping for another 30! They started running Alaskan Malamutes in 1985 switching over to Alaskan Huskies in 1993 as their passion for distance racing evolved from their home in Massachusetts. The addiction was set and they moved to northern Maine in 1994 in search of longer training trails. As they prepared for long distance races such as Labrador and the Can-Am Crown they realized one of the major pieces of equipment necessary, dog booties, should be built better. After making their own boots that season things progressed to forming an equipment company and Mountain Ridge was born in the fall of 1995 adding many more items to the line of products such as harnesses, dog collars, coats, wraps and the first therapeutic shoulder vest on the market, invented by John while racing. Mountain Ridge’s focus has and will always be to create the best product using the best materials available, knowing well the harsh conditions the equipment will be tested in by their own teams as well as teams run by Iditarod and Yukon Quest mushers. Customer service is a top priority for the company; striving to help everyone from the rookie to the veteran with the same courtesy, always happy to answer questions regarding the equipment or dogs in general. The sport has evolved in a great way with people finding that they can exercise the family pet of any breed year round by hooking them up to a bicycle, scooter or wheeled rig in the off season or to a small sled in winter. It doesn’t take a kennel of 20 dogs to have fun; skiers can hook up a dog and do the sport of skijoring, roller blading or simply running behind their dogs. 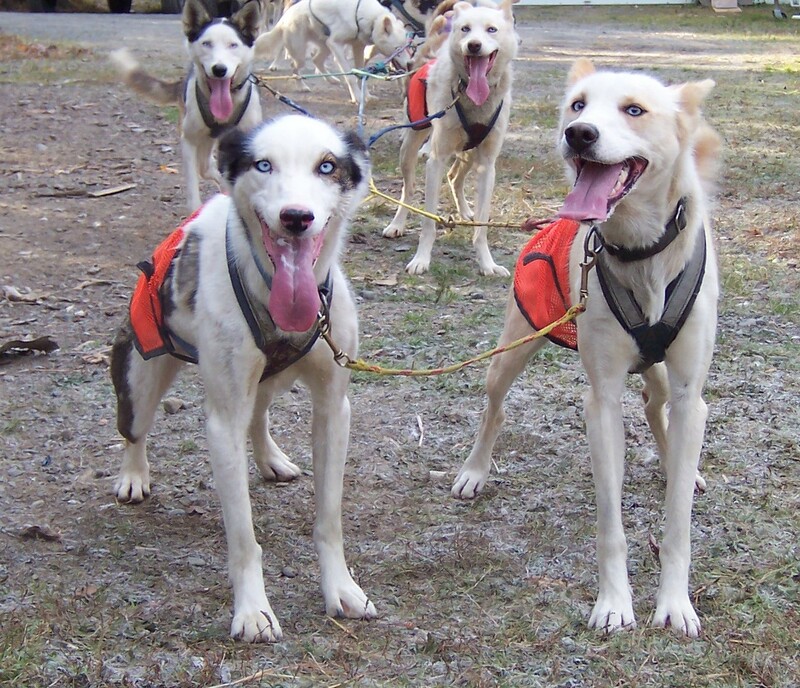 Mushing dogs comes in many forms and Mountain Ridge offers all the equipment needed, with skijor belts, towlines equipped with a quick release snap and dog booties to accommodate however you want to make your dogs smile having fun on the run! As a company Mountain Ridge is most proud of their commitment to customer service, the quality of which their products are made and that the equipment is all made in Maine, USA!